The Masilonyana District Municipality includes towns where residents drink dirty water, if at all. Towns where sewage flows openly in the street after a rectification project stopped mid-way, allegedly because the cash had run out. Its mayor, Kunatu Stephen Koalane, is accused by the opposition of already being in mid-air on an all-expenses trip paid by taxpayers, R300 000 jaunt to Cuba when council signed off the approval for his fifteen day trip. He is also the sort of guy who brings Promotion of Access to Information Act (PAIA) applications against mourners at funerals – requesting copies of recorded speeches to confirm if one of them was defamatory against him and his fellow councillors. Noting that the request was made against a private individual, not a private body or or public one either, Van Der Merwe dismissed the application. 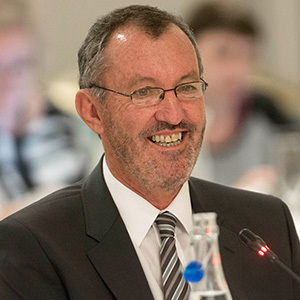 Van Der Merwe was appointed to the High Court in the Free State in 2003. He was previously short-listed for a position on the Supreme Court of Appeal, which was unsuccessful. So it was a surprise for some regular Judicial Service Commission-watchers when it was announced that Van De Merwe — a pale male with perhaps a lesser jurisprudence than the unsuccessful Judge Trevor Gorven — was nominated for appointment. There are fewer Afrikaans speakers at the SCA these days, despite some court records being wholly in that language. But JSC spokesperson CP Fourie did confirm that language, and Afrikaans specifically, was not a consideration during the commission’s deliberations.